After my trip to the densist, finding out that I need a filling (help! ), I was ready. Mini pizzas and calzones with left over dough. Stuffed dough balls with the leftover leftover dough. I’m making pizza tarts insteaaaaaaaaaaddddd! and the rest of the lovely oven treats tomorrow. Feast your eyes on my roasted veggies and my tomato sauce made with passata, parsley, thyme, oregano, onion, carrot and garlic. 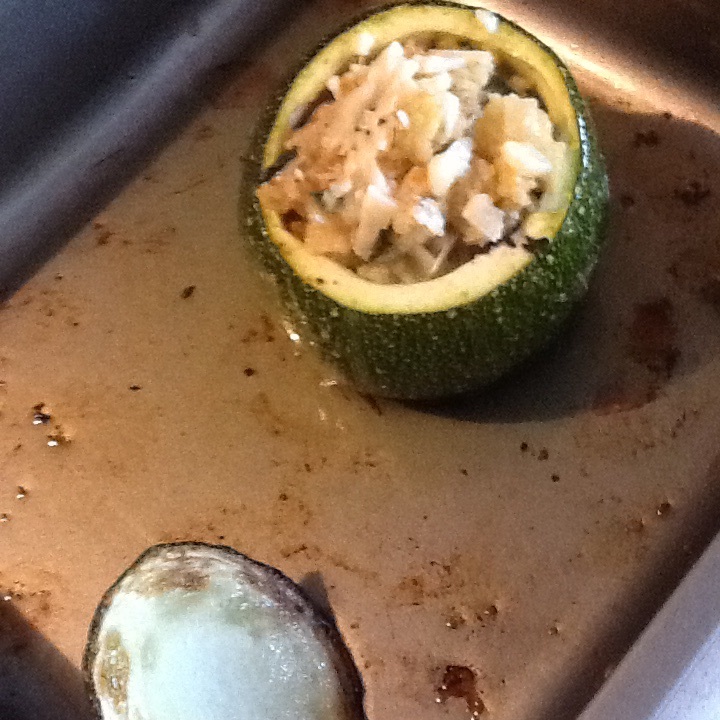 In a spectacularly productive ‘lazy Sunday’ I made a whole bunch of things from the odds and ends around the kitchen, one of which I’m most proud is this one – stuffed courgette, with whole wheat couscous, garlic, Parmesan and fresh herbs. Doesn’t it just look lovely! I’ll get these roundy courgettes again, even if it’s just for this kind of dish, because it looks good, because I’m eating with my eyes just as much as my stomach. It was a decent first attempt with what I had left in the fridge and cupboard. I made it in a bit of a Sunday evening whirlwind, you know the kind when it’s almost a case of racing to get to bed on time before the week starts. While I treat these bakes as a labour of love, this time I was just hungry, but cleverly preparing for a few days at the same time. It did taste a bit rushed, but then you eat and you learn. 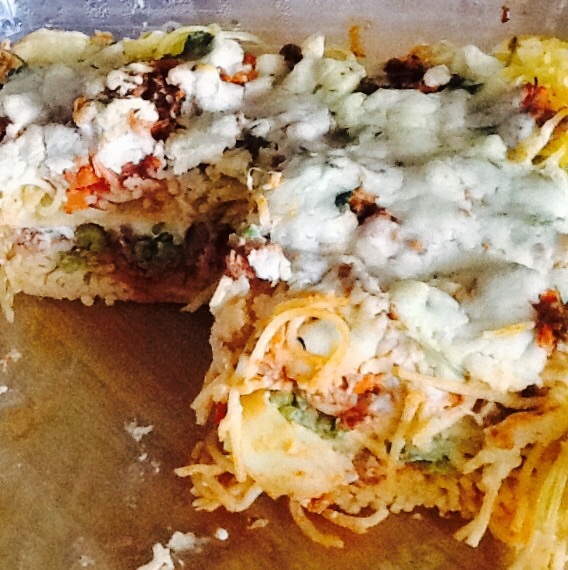 It doesn’t have the structure of the timpano, nor the time that would go into such a pasta bake, but it did hit the spot and fill empty bellies. No doubt I’ll be back to improve on this, and take inspiration from my earlier post. I’m still satisfied it was good enough. Categorise this! Select Category Blogging 101 Christmas Specials Coffee Daily Post Italian Pasta Dishes Photo Feature Pizza Scrivo in italiano Techniques What’s in the cupboard? What’s in the fridge?